Sign up for our email newsletter, RSS feeds or both. All Marine Corps reservist Jake Chalmers wants is to give his dying wife a last, romantic cruise to the Philippines. Unable to save her in a mass murder aboard ship, he washes ashore an uninhabited jungle island, where he discovers three other survivors. Heartbroken that he failed to save his wife, he is determined not to fail these helpless castaways. Thoroughly engrossed in Stranded! How in the world are you going to top the adventure in a sequel? I was unable to put this novel down. Now that I am finished, I guess I will have to catch up all the work I put aside! Thank you for the break! LOL, some readers liked the sequel even better–can you believe that? I have to say, Stranded is my fave, so much I love about it! I woul love to know when more books become available for kindle. I have just finished reading Stranded and I loved it. Thank you for loving Stranded, Pat! Big hug! Its sequel, Forgotten: A Novel, is available on Amazon, and a third book will be coming out in 2019. I really enjoyed reading your novel. So much action. Thanks for your encouragement, Catherine! *big HUG* Our second book, Forgotten: A Novel, is available on Amazon as an e-book, as well as in paperback. Our third novel is still being written and should be out in 2019. Wow! What a roller coaster ride! I could not put this book down! It was one crisis after another, and yet they did survive, and they all came to a much fuller relationship with God through the trials. I liked that this book kept you intensely riveted on the story and at the same time relayed the message of God’s love and forgiveness without being preachy. I cannot imagine what it would be like to be in such a terrifying situation. It was obviously not the stuff reality TV pretends survival is like. I am certain most of us would have times of questioning whether God really cared under such difficult and frightening circumstances. But in the end, God’s love and care for His children perseveres, even when we stumble. Thank you for a riveting 5 hours of reading. On to the sequel! Oh, Patti, I’m so delighted you shared with us! Perks up our day and keeps us writing! Thank you! And I hadn’t intended to, but I just mowed through Forgotten! 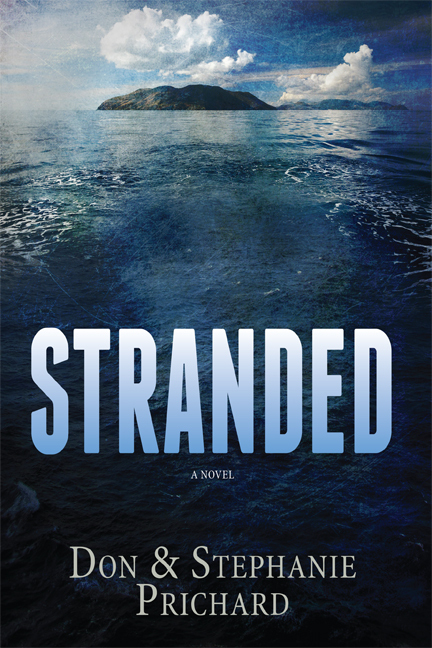 I enjoyed it every bit as much as the first book for many of the same reasons, though Stranded was my favorite. More adventure and less angst I think. More heartbreak in the second book. But at least there was no question Betty was in a better place. I am afraid I don’t feel the least bit sorry that her brother-in-law probably ISN’T in that better place. The Just Judge is the only one who knows for sure. It was a wonderful wrap-up, I am glad Jake and Eve were both able to come to the point of forgiveness for those who had so terribly wronged them, to leave things in the hands of the Just Judge. They won’t ever forget, but forgiveness removes the terrible load of anger and hatred. BTW, I am thinking that a few years down the line, Crystal and Brett would pull the family together even more! 5 years from now the age difference is not as significant! I really enjoyed Stranded. Thought I’d just give it a shot and maybe a few pages then on to 5th e next book. Well that didn’t work out. I was hooked. Very good and different adventure novel. Looking forward to the next one. Thanks for taking the time to write us, Terry. Good to know our book reeled you in, LOL! Stranded was non stop book. Looking toward to more. Dear Stephanie,This book was an accident when I purchased it from Amazon. It has been one of the most powerful books I have read since I retired as a Christian Psychologist, 10 years ago. I knew something in my relationship with God was missing after my wife die from her second round of cancer. I found some of Betty and some of Jake in my current makeup. When I read the 23 Psalm, after not reading it for so many years, and then how Betty steps away from God when she married a nonbeliever. I had a chill, that this book was written for me. I am now repositioning myself with My Father in Heaven since I again feel my forgiveness as expresses Crystal. May you continue to write such down to earth stores that lift others spirits so they may see God again, and they can feel God’s arm around their when they pray prayers of thanksgiving, and prayers of needs for both their loved ones and friends. May God continue o bless and guide you. Jim, thank you for sharing this precious testimony. May God bless you wonderfully in your renewed relationship with Him. And thank you for the encouragement! Jane, thank you so much for your kind and encouraging words. Knowing that God blesses like this helps Don and me to keep going! Big hug to you! Could you let me know when your next book comes out in 2019. I loved them both. Thank you, Deborah ~ you’re at the top of my list. I could not quit reading till I got it all read! Fabulous! Thank you! So glad there is a sequel! Big hug to you, Sharon!